George Eastman –born on the 12th of July in 1854 – from Rochester, New York, was no ordinary bank clerk. It all started with a nice holiday to Santa Domingo he had planned. A co-worker suggested that he bring along a photo camera. However in the late 1870s, taking photographs took quite some work. Eastman bought all necessary gear such as a camera, films, chemicals and equipment to develop the images. In fact it turned out to be far too much stuff to bring along on a holiday. But instead of leaving the camera behind and going on vacation, he cancelled the trip and started to work on improving and simplifying the process of photography. Probably without realizing it at the time, he did something all successful entrepreneurs do: solving real “customer pain”. Entrepreneurship lesson 1: identify acute customer pain. The camera and developing gear Mister Eastman bought for his (now cancelled) holiday was based on the use of wet chemicals on a glass plate to capture the image. Soon Eastman heard about an easier method that was being used in England. And after three years of ceaseless effort to replicate this process (done after work hours) he had a functioning dry-plate process. The Eastman Dry Plate Company was founded in 1881. Entrepreneurship lessons 2 and 3: get maximum information for minimum costs (e.g. adapt a successful idea from another market) and keep on testing, testing, testing. The Eastman Dry Plate Company was an innovative company. As cameras were still big in those days, and glass plates were heavy as well as breakable, Eastman persistently worked on different ideas, products and methods. Finally he came up with paper film. It was less expensive and lighter than the traditional method. For sure, quality was lacking at first, but Eastman decided to keep on working on it and gradually quality improved. Entrepreneurship lessons 4 and 5: offer a compelling solution to customer pain while simultaneously reducing technical and business risk and (with that) build real competitive advantage. In 1888 the Kodak camera was introduced, using paper film – which soon was replaced by celluloid film that is actually still available today. Back in 1888 demand for the cameras grew amazingly. 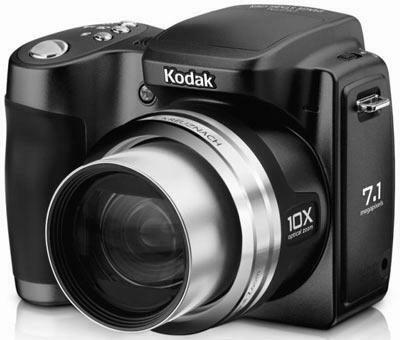 Kodak was an instant success. The photographs taken were sent to Eastman ,to be developed and printed by his company (actually films were part of the camera so the whole camera had to be sent). George Eastman had indeed simplified the process. The slogan used in the 1890s underlined the fact that: 'You Press the Button, We Do the Rest'. Entrepreneurship lessons 6 and 7: make things easy for your customers and build a business that ensures returning customers, creating maximum “lifetime value of a customer” (which is your net present value of future profits). At first Kodak’s competition did not think much of paper quality and kept focusing on (then still) superior glass plate technology. In fact, these companies missed the opportunities provided by the immense growth of the photography market through the introduction of film. In the end they all vanished. Entrepreneurship lesson 8: pursue opportunities, without regard to resources currently controlled. Then, in the early years of the 20th century, German inventors came up with color film. Again, at first, with a quality level that left much to be desired in comparison with (at that point) superior black-and-white technology. Eastman did not make the same mistake the extinct glass plate companies had made. He immediately embraced this new disruptive technology. He invested heavily in research to improve the newly invented color product (see entrepreneurship lessons 2 and 3). He was convinced that, although a market for colored products didn’t exist yet, it would in the end color replace black and white (see entrepreneurship lesson 1). In the 1920s he indeed successfully introduced a high-quality color film. Kodak survived and thrived. Lessons 9 and 10: always embrace disruptive technologies and don’t be afraid of cannibalism. 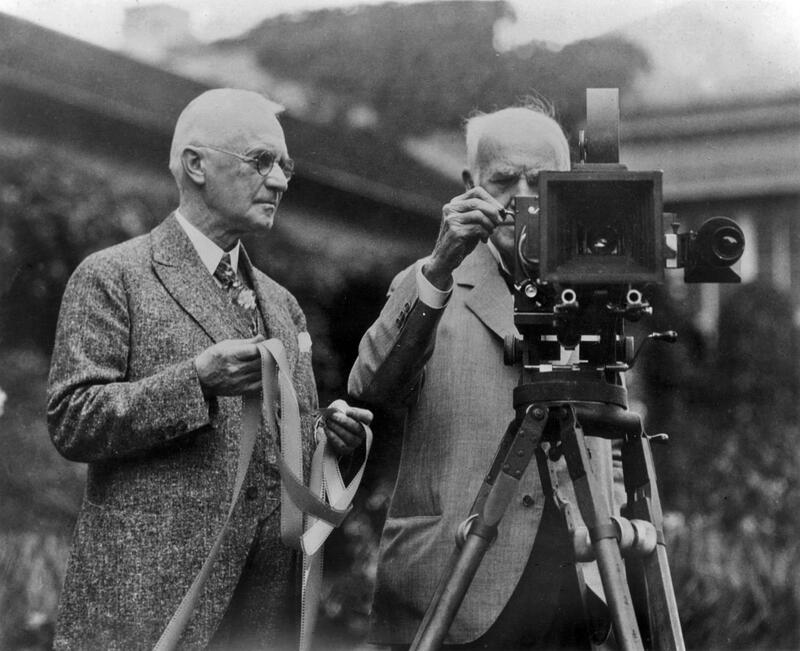 George Eastman died in 1932. 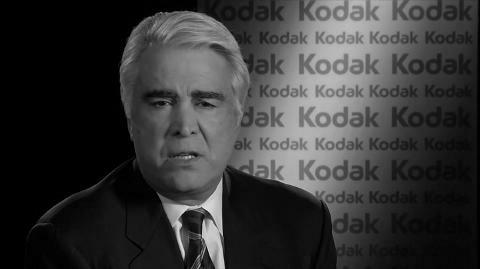 Kodak made further history with ups and downs, and following last year’s tragic bankruptcy events it is now alive and kicking again. Hopefully Mister Eastman’s entrepreneurial skills are remembered by current CEO Antonio Perez who claims “it's [Kodak] on track for profitable growth”. Lesson 11: while growing your business, never forget what happened in the past. Kodak is alive. Long live George Eastman! Written by Jan Adriaanse and Emile Voogt.